From the website, to the ads, to the in-store materials, the brand is the brand. 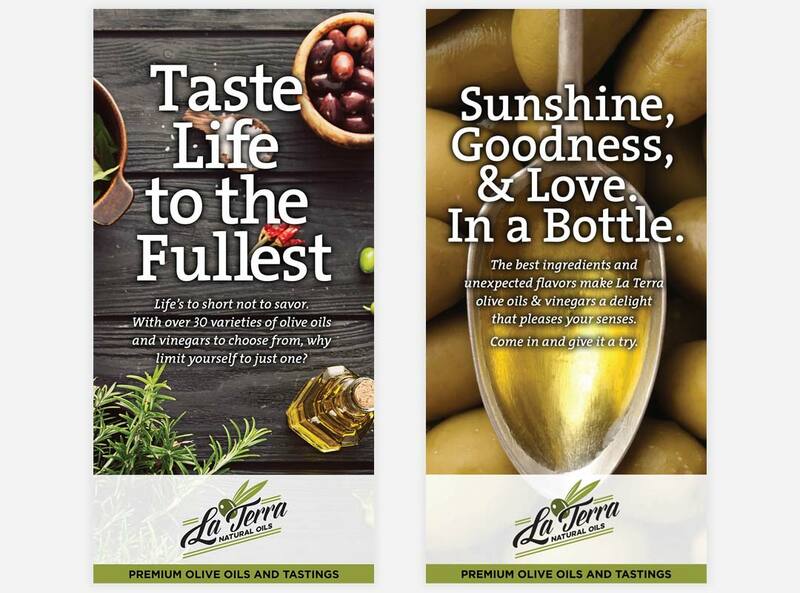 A rustic, customer-friendly look that emphasizes healthy living and the incredible variety of La Terra’s line of olive oils and vinegars. The in-store posters were not only the first thing you saw when you walked into the store, they also hung in the windows, a billboard to the outside, communicating the brand identity from outside as well.